F/O Anushuman Panda Class 12 Science. My son Aagam in in Class 5 today. It has been three wonderful years that he is in this school. Due to unavoidable circumstances. I had to shift to Rajkot. I was very apprehensive about the school to enroll of my son. Luckily, I selected DPS. Today I have no regrets about my choice of the school for my choice of the school for my child. DPS provides genuine atmosphere and background to a child to develop his all round faculties. It’s not only the bookish education that counts, but other activities like sports. Cultural and social activities are important part of the education programme for the overall development of the child. A true teacher does not stop by giving the required lessons only; he/she guides the students to think and take decisions independently. At DPS, under the able leadership of Mr. Dubey, my child is developing all his faculties simultaneously. He is, sort of, flowering in the cordial, warm and beautiful atmosphere of DPS. I fell that this is the right school for a child who wants to excel in life future. It gives me immense pleasure to pen down my feelings for DPS ,Rajkot. The institute which stands on the pillar of truth and honesty , actually walks the talk of its principles.And truly speaking for my ward they provided family treatment in a alien environment as we recently had settled in Rajkot. Above all, the cooperative staff is motivated enough to give best services possible to students as well as parents.Moreover it takes part in various other activities such as conducting rallies in effort to raise voice against inhumane practices in society and planting plants in campus and many more. This brings me to another very important point that they ensure that every child is filled with humanitarian values and they provide moral education at its best. The academic mettle is proved to one and all by its annual results. And in sports also, the students of this school have performed exceptionally well. I find myself blessed and lucky to be a part of DPS family. My name is Sandeep M. Jhavery and I am serving in Western Railway at Rajkot. My son Shlok Jhavery is studying in XII Science in Delhi Public School Rajkot. My son has completed 10 years at DPS Rajkot. He joined the school when he was in 2nd Standard. I still remember the day when my wife and I had gone to enquire about the admission procedure for DPS Rajkot in 2002 at Neptune Tower Office where the school was initially started. We were very much impressed by the management and at that time Ms. Sunila Malhotra was the Principal. She was a lady of virtue and respect towards her was always coming from our heart naturally. The staff at the school was very co-operative and attentive. Grand gala function was held at Hemu Gadhvi hall for opening of the school at Rajkot which was attended by Sh. Salman Khurshid and Narendrakumar, New Delhi. Mr. Khurshid shared his experience of DPS Mathura Road when he was admitted by his father in his childhood. I had an opportunity to visit New Delhi during 2002 and my son who was 7 years old was studying in 2nd Standard asked me to bring photographs DPS Mathura Road. I brought photos for him and he was overjoyed to see them. Then Came the big day when DPS shifted to its current location. We parents were invited by Shri Rajendra Kamdar to see the venue and shape of the school which was going to take place in future. It was awesome ! My heart really felt pride because the venue and plan of the school was so beautiful and I was happy that my son was one of the students in the school. teachers I have ever seen in my whole life. Mr. Dubey just changed the picture of the whole school. He has keen interest in horticulture and one can see various types of flora in the school premises. He also boosted up moral of the students. Because of him I always recommend the school to my friends and colleagues because this is the only school in Rajkot which does not throw burden on the student whether in studies or in speaking language. students as the school is teaching all the subjects thoroughly and one has to just pay his / her full attention during the school studies. The school selected me as a parent representative when my son was in Std. IX. Now I am a school committee member. The Principal also welcomed many Railway officers as Chief Guests during the events which are a regular part of the school. Cultural Evenings are such things which I will remember till my life as this is the last year I will be officially associated with the School. I also had the privilege to meet excellent people like Dr. S.P.Singh and Dr. Rahul Kundu because of the school. At last I express my sincere thanks and gratitude towards the school and wish the school very best in future. 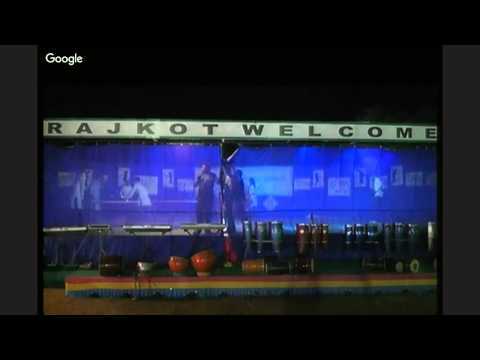 I have been associated with DPS Rajkot for a long time. My daughter passed out from this school and my son is currently studying in this school. Over the years, I have seen my children blossoming into confident individuals with multiple talents. The school provides ample opportunities for the holistic development of children. 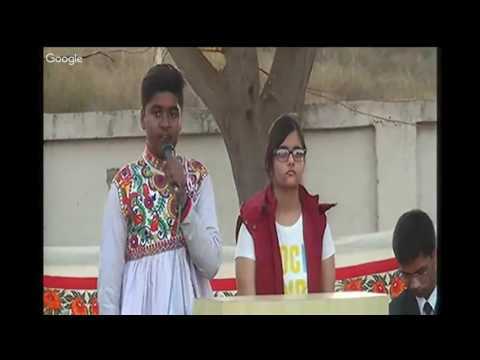 Talent shows, Education Fairs, educational Tours, Sports and Cultural events, Inter DPS, Inter CBSE, Interschool competitions. Awareness Rallies, Happy days, Guest speaker Programme and many such programmes are organised through the year for the students. It is worth mentioning that there is a communication among the school and the parents. I would like to especially appreciate the efforts of Principal Dr Manoj Dubey under whose guidance the school has been able to reach new heights. Kudos to the dedicated staff of the school for tireless efforts. I am sure the school will continue its pursuit of excellence. Every problem of the world finds its solution on a forum. I extend my heartfelt gratitude towards the institution for, making me a part of Democratic body – PTC, which is but an assembly where the parents and the teachers jointly discuss, keeping in view the holistic betterment and progress of students in general. Schooling forms one of the primal events of a child’s life as he/she shares even to eight crucial hours out of his or her twenty-four hours. School is an ideal place where a student like a recipient receives numerous academics and life skills. So, I would like to keep DPS Rajkot at the pedestal of idealism. As it is aptly said by Goethe: ‘’Treat a man as he is and will remain as he is. Treat a man as he can and should be and he will become as he can and should be.’’ As far as my daughter is concerned, I feel the institution has a great hand in shaping the personality. During her initial days of schooling, she demonstrated herself into an introvert and shy pupil. Now I can find a noticeable change in her personality, as she moved out of this giving room to confidence and self-expression, which form essentials of holistic development of a student. The esteemed teachers who are the torch bearers of the society, Principal and the honourable management of the DPS fraternity deserve my sincere and devout gratitude. I would be a mark of negligence if I fail to acknowledge the sterling and diligent approach of the Principal of the institution who is already recognized and felicitated for his dedicated and committed endeavour by CBSE with an award. DPS RAJKOT is affiliated to CBSE and ranked parents’ favourite and one of the best schools in this region. I feel that I am an integral part of DPS. My daughter Prachi Priya Sharma and son Praharsh Prakash Sharma are studying in DPS Rajkot and doing very well in their studies and learning good manners with excellent performance. 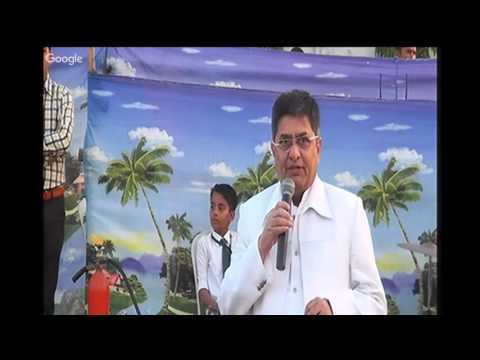 Dr Manoj Dubey, the Principal of DPS Rajkot is one of the best Principals in the city and has won many National Awards. He guides the students, staff and parents very well. All the teachers of DPS Rajkot are doing very well to build the lives of the students. From time – to – time parents’ meetings, activities and comprehensive work experience classes are conducted in DPS Rajkot. I shall always be happy to serve DPS Rajkot, even after my daughter and son have passed out form here.